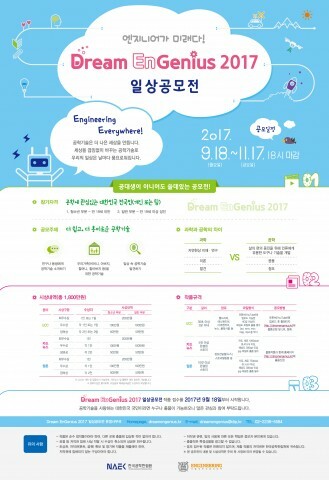 On September 29th, National Academy of Engineering of Korea (President: Kyoung Kwon Oh) announced to host the ‘Dream EnGenius 2017 competition’ for adolescents and the general public, through the use of engineering technology via UCC (Unified Communications and Collaboration) or graphics. The main objective of this year’s ‘Dream EnGenius 2017 Competition’ is to raise public understanding of engineering technology and to create an atmosphere to elevate engineers’ status. 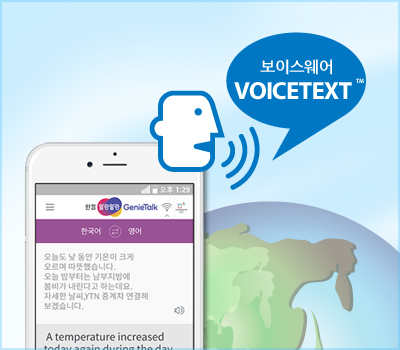 Any South Korean citizen interested in engineering technology are eligible to participate. The application is available from Monday, September 18th to Friday, November 17 by 6 PM. What is noteworthy about this year’s contest is that it will not only be held in the field of UCC, but also in the field of ‘Card News’ and ‘Webtoon.’ Details of each competition can be found on the competition website. Judging criteria will focus on the creativity, delivery of the message, appropriateness, if it grabs attention, and the design. The judging committee will announce the winners on December 4th. The winners of each category will receive a prize of $2,000 and a prize will also be given to the runner up, the best effort, etc., totaling to $18,000.The final winners’ work will be shared on social networking services (Facebook, Youtube, etc.) in order to raise awareness on the importance of engineering technology. 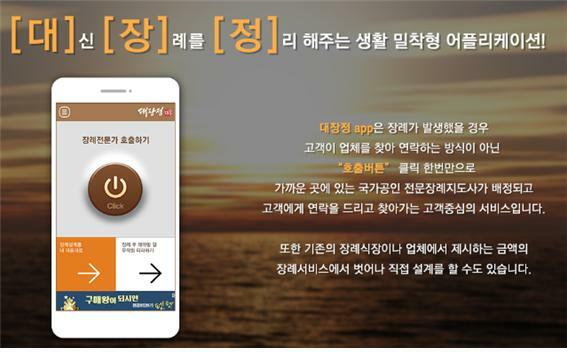 They will also be used in various forums and events at the National Academy of Engineering of Korea. National Academy of Engineering of Korea expects the competition to be an opportunity to re-evaluate the meaning of ‘engineering technology’ for the public. For more information about this competition, contact the competition website or the administration office.